Greetings friends and fellow crafters. 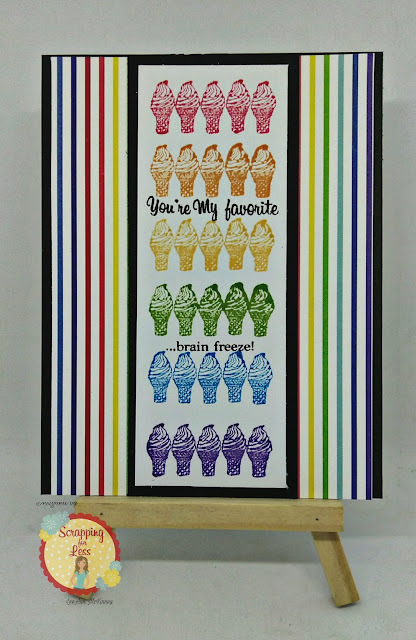 LeeAnn here with a post using the March Flavor of the Month kit "All About Ice Cream" from Scrapping For Less. To make this card I used Black cardstock as the base, and for layering. The rainbow pattern paper is from Pink and Main "Beach Babe" which is part of collection 3. 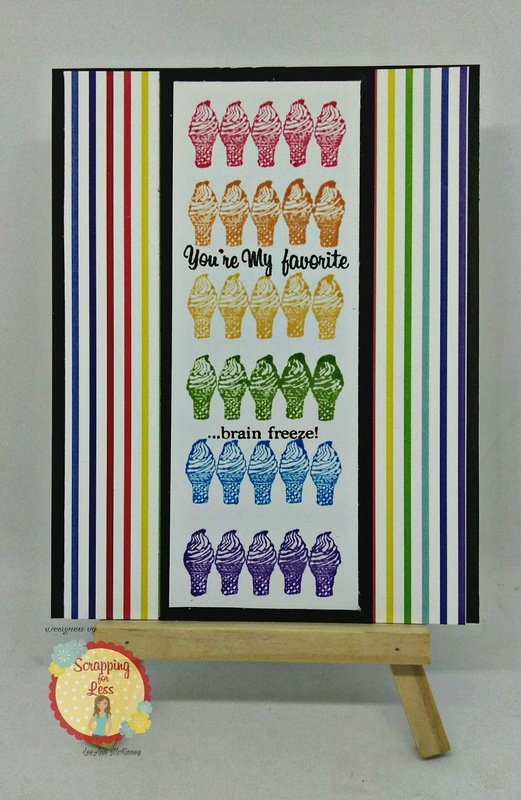 The ice cream cone stamp is from the "Stamping For Less" exclusive in the Banana Split package. The inks I used are as follows in order, all Memento Dew Drops. I stamped the sentiment with Versafine Onyx Black. As of this post the Banana Split level is still available. Please check it out here and get yours while you can!!! I hope you have enjoyed my project today. Please stop by the Scrapping For Less website and see the items I have highlighted as well as the other awesome items available.